You are not alone. We hear this phrase in the maternal mental health community so often. But to a mom who who has experienced a miscarriage, it probably doesn’t feel that way. We are missing the mark by not talking about miscarriage and the anxiety, depression or even PTSD that can accompany one. While this post will focus on miscarriage, it’s important to acknowledge moms who have experienced stillbirth or infant loss as well. In my opinion, they each deserve a later post of their own. These stats give a sterile view of an incredibly real and devastating experience. 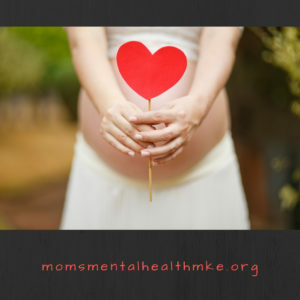 Because miscarriages often occur early in pregnancy, it’s possible that very few people were aware that a mom was expecting and this can, understandably, lead her to feel misunderstood, isolated and hopeless. Furthermore, watching life continue effortlessly for those around her can make those feelings even more intense. Knowing that these moms are at a higher risk for developing anxiety and/or depression, both after a miscarriage and after subsequent births, we need to be doing more. We need better screening; both immediately after a miscarriage and at regular intervals thereafter. We need to give moms space to feel safe sharing what they need to feel supported. We need to recognize that grief is a process and that it might include a wide rage of shifting and unexpected emotions. We need to let moms know that there is no “right way” to deal with pregnancy loss and she is the only one who can determine what that process looks like for her. We also need to let moms know that while the emergence of grief, anxiety, depression or PTSD after such a harrowing experience is valid and completely understandable, it is also treatable. Depending on the severity of symptoms, support groups (in-person or through social media), therapy or even medication are valid options to help a mom who is struggling. I almost feel like I don’t have a right to talk about this issue because I have never experienced a miscarriage myself. However, in this mom-tribe, we have to support one another. We need to be reminded to be sensitive and compassionate towards those around us because we might not know the internal battles they might be facing. Maybe I’m able to speak up when someone who is more closely affected cannot. Or, maybe my “you are not alone” is speaking to someone in a different way…a way that she’s been longing to hear. Your pregnancy matters. Your baby matters. Your experience matters. You are allowed to grieve, to be vulnerable, to be cared for by both yourself and others. You deserve to seek and receive help should you need it. You don’t ever have to go through this alone.